Rocksmith DLC 360 Review. 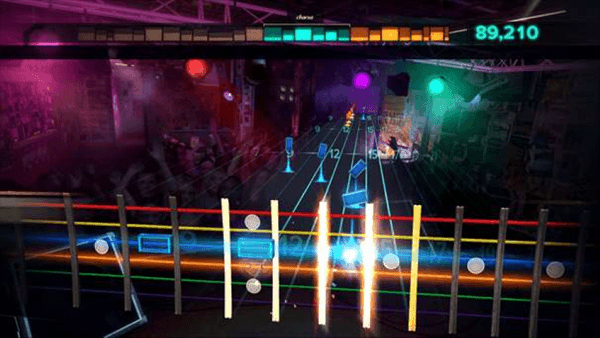 For more on Rocksmith and for the bare bones beginner suggestions on Rocksmith see our other article “Rocksmith for the beginner.” In it we talk more about choice of guitars, and a few hints and tips on playing. So ok, we said we would do it and here it is. 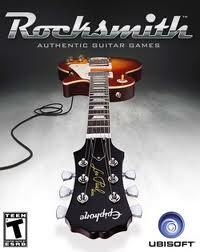 Rocksmith has never been one of those games/teaching tools for casual gamers. As noted in our earlier reviews the player is the primary ingredient here. The player has to be willing to invest the time in the game. Just like learning anything, if you do not put the time in, you just will not get the full benefits of what the title has to offer. Here we have a roundup of the DLC songs available to date. If the gamer is an ingredient and the game is the next part of the ingredient, then game Downloadable content is part of the catalyst that keeps the interest in this chemical equation that is interest in the brain of the consumer to keep going with the game. 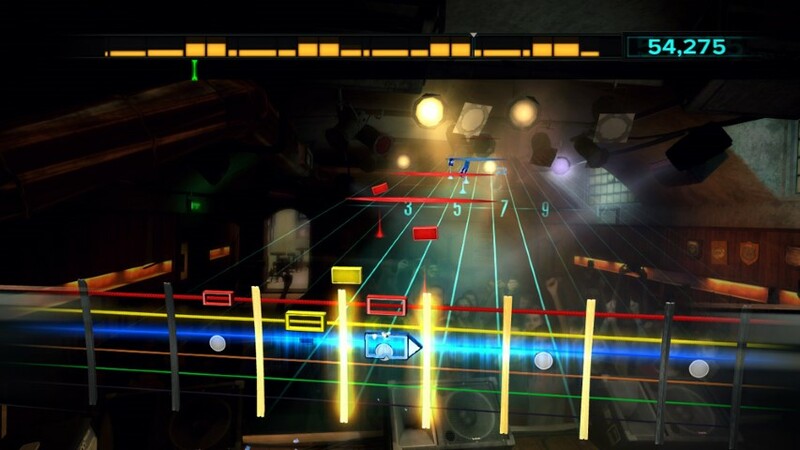 It’s no secret on what my thoughts are about the DLC thus far for Rocksmith. For the most part they have introduced some great stuff. The songs offered up as additional content have been diverse and surprisingly fun to play. Not everyone is going to like the choices of course and the Rocksmith boards are full of Band suggestions. Let’s face it, the lines between the music world and gaming world will never be the same again. IF Ubisoft continues to provide the well thought out support they have provided for the game thus far. Our hopes are that they open it up just a tad more with some focus. It would be great to see song packs with more focus from time to time with 5 or 6 songs from a band. Some of my favorites due to guitar and Bass lines have been no secret and there are so many out there. The releases for the Game have been great and with the recent release of the Bass support (See our review in the Xbox 360 section also) it feels like a complete endeavor now. Guitar and Bass Rocksmith. The DLC content has been diverse to say the very least. Content so far is across styles from funky Wah Wah guitars to the driving beats and thoughtful power guitar builds that are part of a musician’s arsenal. With the game able to utilize things like note bends, sliding notes, palm mutes sustains, and hammer ons and offs the song lists got really interesting. As did some of the other offerings like The Heavy Metal Gear Pack and the Metal Tone Customization Pack, these two packs add more to Amp mode. This gives the already powerful mode even more effects and tones. This turns the game console into an effective musical effects chain. Stringing together in game cabinets, amps, and effects pedals to get those tones we love so much in different songs or customize your own. This is very cool. As for the songs thus far as of September 6th 2012, there are a plenty of songs and the choices have been scatter shot when it comes to theme packs such as rock, soul, etc. The queen song pack seems to have had the most meat with a tasty five songs rather than the common three songs in other band theme packs. It may be a matter of licensing at this point, but that’s just an unconfirmed thought. What comes our way has been easiest to license? So far the DLC has been solid. Choices are a bit scattered as we said. They can be purchased as single songs or as part of their package. Any songs that are part of a package are listed. "I Hate Everything About You"
"Come Out and Play (Keep 'Em Separated)"
That is the list. We hope to see much more content, as well as more robust themed releases, IE, Focus on a band with more than three songs in the song pack. The Rocksmith message boards are burning up on the official site and it’s Facebook page with a lot of good suggestions, including some of the ones we have suggested would be good candidates for Rocksmith, Styx, Hall & Oates…the list of potentials is mind boggling…..the real question is…does Ubisoft read the boards and take any of it into consideration? So far there have been hot DLC releases, and some less than inspiring. But on the whole the DLC quality has been keeping up in quality choices…. with some songs we never would have considered to even look at…actually turning out to be very fun to play. Though again because of the hit and miss on choices of song releases and not many solid larger packs like the Queen Song pack, we had to lower the value down just a tad on our scores. 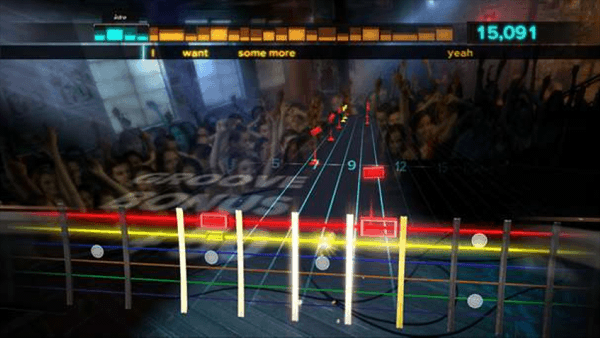 For more on Rocksmith and for the bare bones beginner suggestions on Rocksmith see our other article “Rocksmith for the beginner.” In it we talk more about choice of guitars, and a few hints and tips on playing. Have fun, play games, rock on.